Collision damage may increase the premiums on your auto insurance, but what happens to your car’s warranty? It depends on the amount of damage done to your vehicle, how it was repaired, and what caused it. Here’s what you need to know about how collision repairs will affect your warranty. Manufacturer warranties are revoked if the car is issued a salvage title. In Wisconsin, salvage titles are issued to cars that are less than 7 years old and have damage that would cost 70% or more of the vehicle’s value to repair. At this point, so much has to be replaced that it’s not really the same car. It’s more likely that there will be hidden damage that will go unrepaired, leading to problems later on that have nothing to do with how the car was originally constructed. What if your car is more than 7 years old? When you buy a used car, you may be offered a service contract, which is essentially a warranty that you pay for on top of the vehicle purchase price. There are also a few car companies that offer powertrain warranties lasting 10 years. 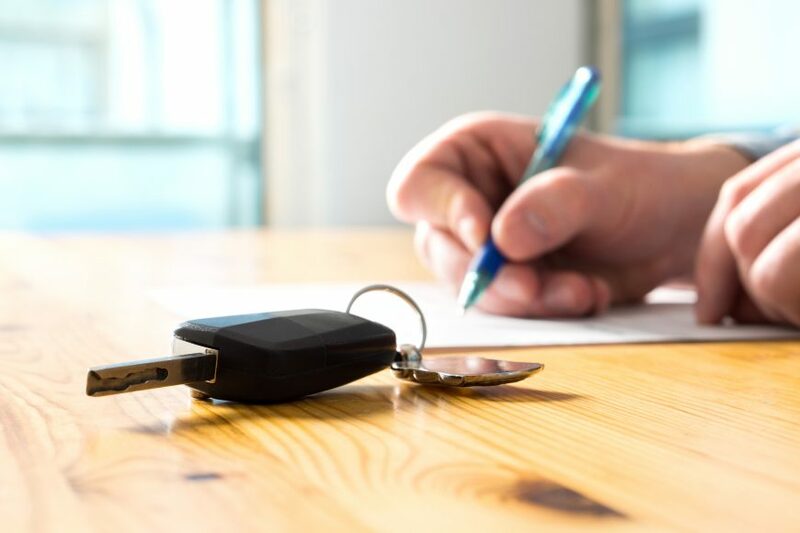 In either case, read the fine print: there will usually be a clause in the contract specifying a limit to collision damage, even if your car doesn’t have a salvage title. This broad term refers to using the vehicle for purposes other than driving on roads and towing with the vehicle’s limits. Racing and off-roading are both considered vehicle abuse, even if the vehicle is marketed for this purpose. If you have an accident while doing either activity, your warranty will be voided. If the vehicle is damaged by an “act of God,” it’s not covered under warranty, and you probably won’t be covered by your auto insurance. Acts of God include natural disasters that have unavoidable damage like hail, tornadoes, and flooding. Fires may or may not be acts of God depending on whether the source of ignition was natural, such as a lightning bolt, or from another source like arson or bad electrical wiring. As with accidents, this can void your car’s warranty if the damage is great enough. If the odometer was altered to decrease the number of miles displayed, the warranty will no longer be valid. What if your gauge cluster is replaced? Newer models with digital odometers store mileage information in the ECU, so a new display will show the actual mileage. What if the ECU is replaced? If it can’t be reprogrammed to show the correct mileage, and the car is less than 10 years old, the title needs to be updated with a new odometer statement. This will state that the indicated miles aren’t the actual miles. Warranties are open to some interpretation, so at this point, the warranty may or may not be void depending on how the odometer change is handled. On one hand, there’s no way to accurately know how many miles are on the vehicle: the car could have racked up a ton of miles between the last recorded mileage and the replacement. On the other hand, if the change is documented, it should be no problem finding out how many miles the vehicle has actually traveled. Getting warranty coverage may involve talking to a service adviser or the manufacturer for approval. Thanks to the Magnuson-Moss Warranty Act of 1975, the warranty will still be valid on a vehicle when aftermarket parts are used, unless the company can prove that an aftermarket part caused damage to the vehicle. That means your warranty won’t be affected if non-OEM parts are used for a repair so long as they serve the same function as the original parts. However, performance parts are another manner: lifting the suspension can drastically change handling characteristics while adding a supercharger, turbocharger or nitrous injection will increase engine wear. However, these changes must be big enough that the automaker will think that going to court over damages will be worthwhile. Minor changes like different wheels or mufflers should have no effect on warranty coverage. Merton Auto Body is the first choice for most major insurance companies because we’re able to deliver top quality work with a short keys-to-keys interval. That means you’ll get your vehicle back fast with everything working and looking like it did before the collision. Our shop is in the heart of Lake Country, between Pewaukee, Hartland, and Sussex.